Prosperous Soul first appeared in 2003 after 5 years of the Lord speaking to Stephen De Silva on how to teach and train the church from moving past the “tools” of how to manage money and move into having capacity to carry wealth. With a unique approach and witty personality, Stephen has sought to develop a spirit-filled, biblically based ministry that brings true financial healing. From this place of health and purpose, people can begin to live the prosperous life Jesus promised them when he said he came to give us life and life abundantly (John 10:10). Stephen K. De Silva began his career in 1985 as a certified public accountant, where he excelled in auditing, tax preparation, and peer review compliance services. In 1995, Stephen formed his own professional corporation serving non-profit, pastoral, and itinerant ministries and organizations. In the same year, he joined Bethel Church of Redding to serve as chief financial officer and member of their senior leadership team. After two decades of learning and growing, Stephen has transitioned to create and teach full-time on the subjects of money and the prosperous soul. 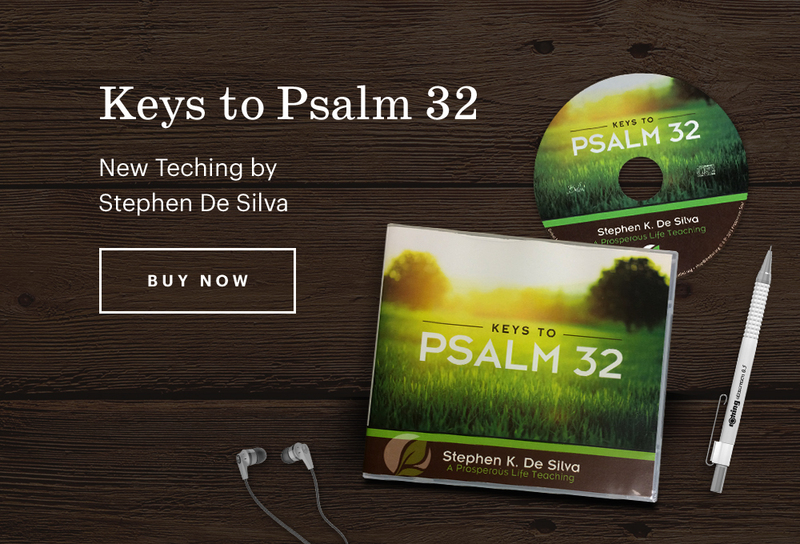 With a unique blend of experience, humor, and creativity, Stephen offers the Body of Christ a fresh, Holy Spirit-inspired perspective with his biblically based financial insights. The Prosperous Soul family of ministries is based in Redding, California, together with the wife of his youth, Dawna De Silva, founder and co-leader of the international healing and deliverance ministry Bethel Sozo International.